The trial visa-free travel program for visitors to Taiwan from the Philippines, Thailand and Brunei is extended for another year – July 31, 2019. 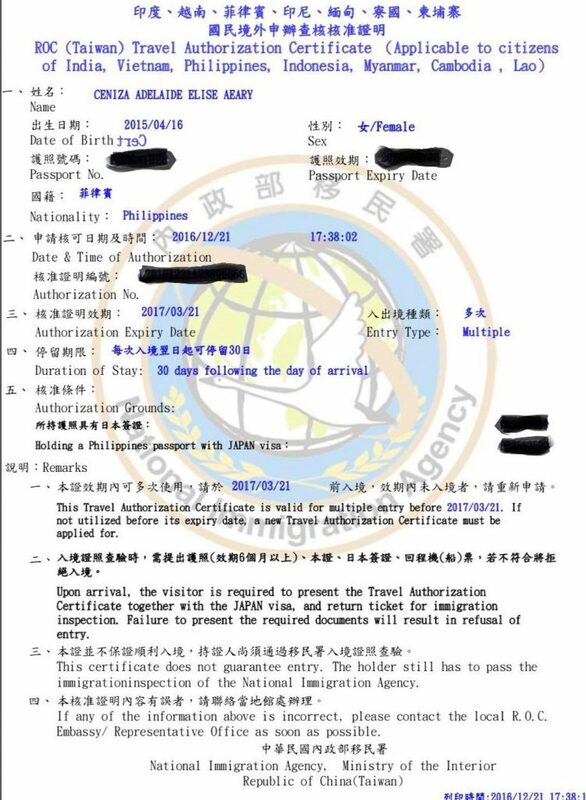 Taiwanese Embassy just confirmed that starting November 1, 2017, Filipinos can fly to Taiwan with NO visa needed! You do not have to apply for a tourist visa nor Travel Authorization Certificate. You must have no criminal record in Taiwan. Your trip is no longer than 14 days. Good news for us Pinoys, according to the Taiwan Economic and Cultural Office (TECO) in the Philippines, the Taiwanese government has eased its visa requirements for Filipinos. Based on the new rules set by the Taiwanese government, Philippine passport holders who have been issued entry visas to any one of the following countries – Australia, Canada, Japan, Korea, New Zealand, United Kingdom, United States or any of the Schengen countries – may qualify for a visa exemption and can visit to Taiwan for up to 30 days. When we heard about this, we immediately booked a low fare from AirAsia and used our expired Japan Visa in applying for an Authorization Certificate for visa-exemption. 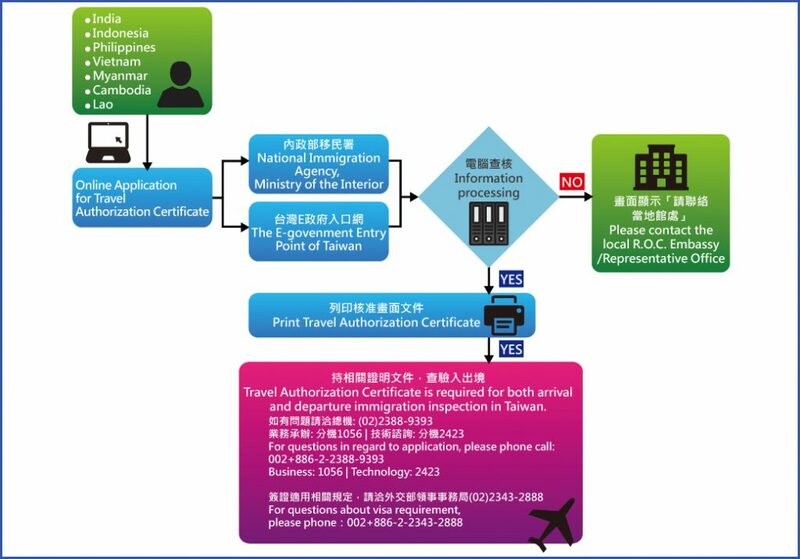 (1) The applicant’s passport must have remaining validity of at least six months starting from the date of arrival in Taiwan. (2) The applicant must possess an onward/return air or ferry ticket. (3) The applicant has never been employed as a blue-collar worker in Taiwan. For more information, please visit the Taiwanese Embassy official website. I’ve never been to any OECD country, but i’ve been to Taiwan(for vacation), am i qualified for the visa free application? what number in your visa did you enter? is it the one found on the upper right most part of the visa o was it the issue no. ?